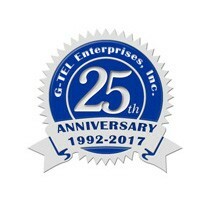 G-TEL Enterprises, Inc. - Payphone.com warrants all products sold by it, to be free from defects in material and workmanship for the period specified on the product information page. This warranty is extended only to the original purchaser. G-TEL shall, at it's option, either repair or replace such products and parts which are defective within the warranty period. All return shipments are made F.O.B. G-TEL warehouse to be paid by the telephone owner. There is no warranty on products that have been modified, adjusted, vandalized, neglected, abused, or improperly operated or maintained. G-TEL's liability under this warranty or any other warranty whether expressed or implied in law or fact shall be limited to the repair or replacement of defective material and or workmanship, and in no event shall G-TEL be liable for consequential or indirect damages, including freight or charges of any kind.